High-speed communication systems cannot afford compromises – neither in performance, nor in price. 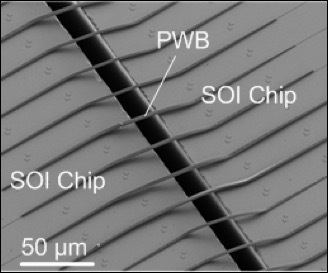 Vanguard’s proprietary photonic wirebonding technology allows to merge the specific strengths of different photonic integration platforms in a hybrid multi-chip system. 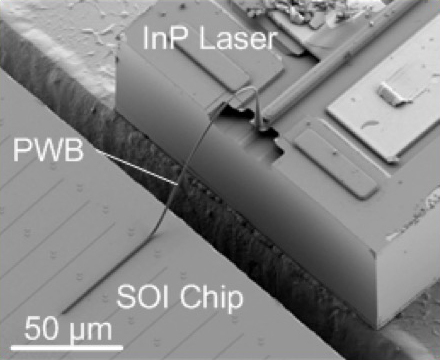 Connecting InP lasers to silicon photonic chips, to low index-contrast planar lightwave circuits (PLC), or to optical fibers is one of our favourite challenges. You think this can be useful in realizing the next generation of photonic engines for 400G Ethernet, data-center interconnects, or optical access networks? We are happy to help you find out!